As fascism spreads, German refugee Georg (Franz Rogowski) flees to Marseille and assumes the identity of the dead writer whose transit papers he is carrying. Living among refugees from around the world, Georg falls for Marie (Paula Beer), a mysterious woman searching for her husband–the man whose identity he has stolen. 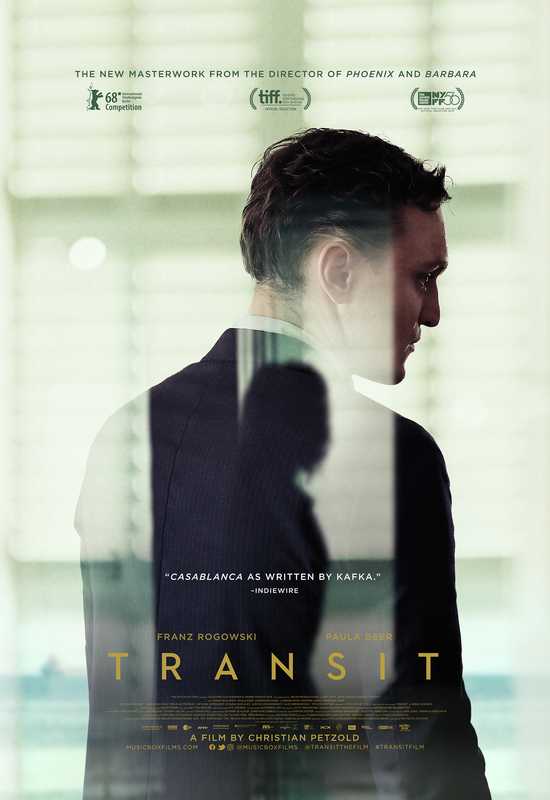 Adapted from Anna Segher’s 1942 novel, Transit transposes the original story to the present, blurring periods to create a timeless exploration of the plight of displaced people. Directed by Christian Petzold (Phoenix). Run time 1 hour 41 minutes.